Join the discussion on our forums! Come discuss Lifeweaver over in our dedicated Lifeweaver discussion topic. 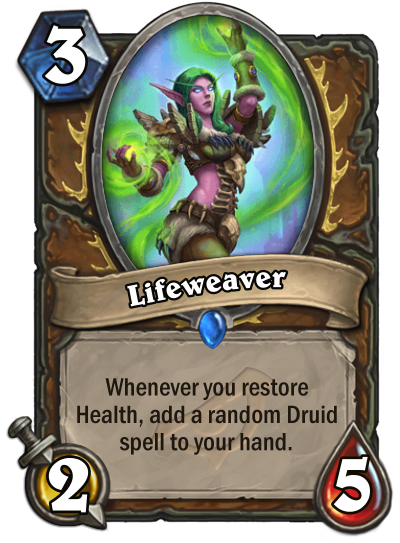 The stats are crazy, almost certainly this thing will survive a turn. A good combo with Dreamway Guardians. I think this cards will be a "sounds good, doesn't work" in the game, but the stats are high, so, it's possible it will be good.